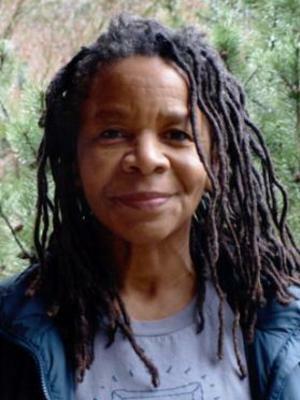 Bebe Miller, a native New Yorker, first performed her choreography at NYC’s Dance Theater Workshop in 1978, after receiving her MA in Dance from OSU in 1975. She formed Bebe Miller Company in 1985. Her choreography has been performed in venues across the country and internationally in Europe and the African continent, and been commissioned by Dayton Contemporary Dance Company, Oregon Ballet Theater, Boston Ballet, Philadanco, and the UK’s Phoenix Dance Company, among others. She has been honored with four New York Dance and Performance BESSIE awards, a Wexner Residency Award, the Jameson Archival Advocacy Award, fellowships from the Ohio Arts Council and the Guggenheim Foundation, is a United States Artists Ford Fellow, and is one of the 2012 inaugural class of Doris Duke Foundation Artists. A Full Professor of Dance at OSU since 2000, she is a Distinguished Professor in OSU’s College of Arts and Sciences and received an Honorary Doctorate of Humane Letters from Ursinus College in 2009. Bebe Miller Company’s most recent work, A History, premiered at the Wexner Center for the Arts in 2012. Bebe teaches Contemporary Technique, Improvisation, Repertory, Creative Practice and Choreography courses.